The first Stylz Hair salon was opened in 1979 by Debbie Cook in the Sydney suburb of Coogee. Debbie developed the salon into a thriving business and in 1982 together with her husband John opened the second Stylz Hair in Randwick. The Stylz Hair story was underway. Today Stylz Hair Group together with their Franchise Partners operate salons in most of Sydney’s major regional shopping centres. 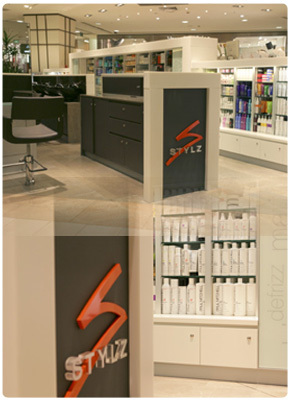 In 2007 the first Stylz Hair was opened outside of Sydney at Westfield Tuggerah on the central coast. The Stylz success story is centered on technical expertise and unparalleled customer service. Hair cutting and styling are complemented by specialisation in colouring and foiling backed up by sophisticated hair treatments, most notable Stylz’s own Long Hair Service. Stylz Five Star Customer Service is designed to provide a relaxed and friendly atmosphere and the very best professional consultation and advice. All services are pre quoted and backed by Stylz’s Satisfaction Guarantee.